Most people always go for the puppies, but I must say that I have a soft spot for older dogs. They are filled with love and wisdom, and are so sweet they make your heart melt each time they look at you with their tired eyes. 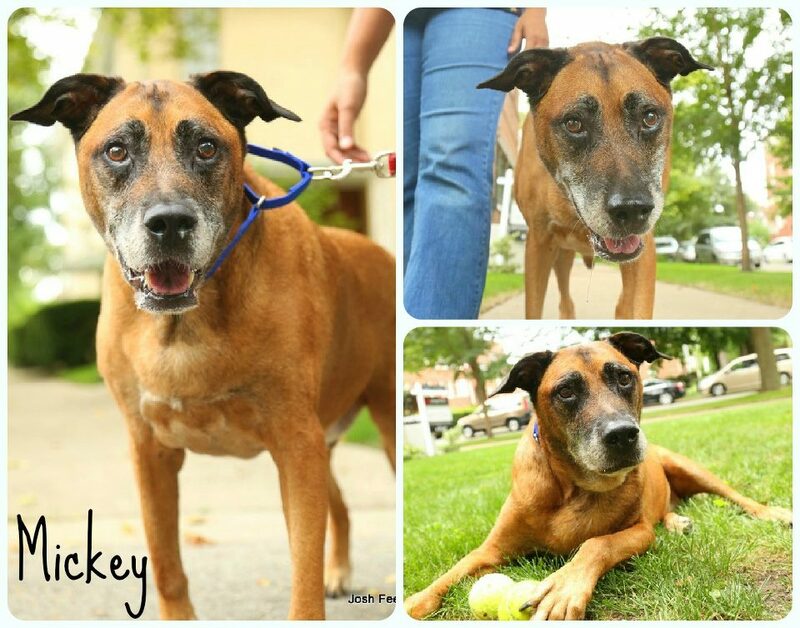 The handsome guy above is named Mickey and is available for adoption through One Tail at a Time where Chick is from. I would take him in a heartbeat, but while I think our small one bedroom apartment is suited for at least two pups, Josh is not convinced. I think this guy would be the perfect friend for both Chick and Frasier. If you’re in the Chicagoland area, though, and are looking for a new senior friend, please, please, please consider this fellow. He is as sweet as they come and is only up for adoption because his 91-year-old doting owner just couldn’t properly care for him anymore. You know you want him, right? He has such a sweet face, I hope he finds just the right home and soon!